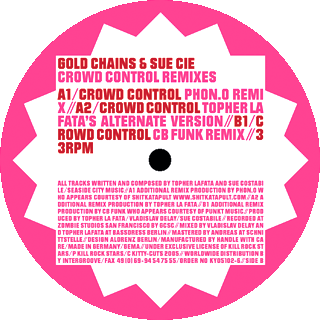 12” for Gold Chains & Sue Cie, published within a series. 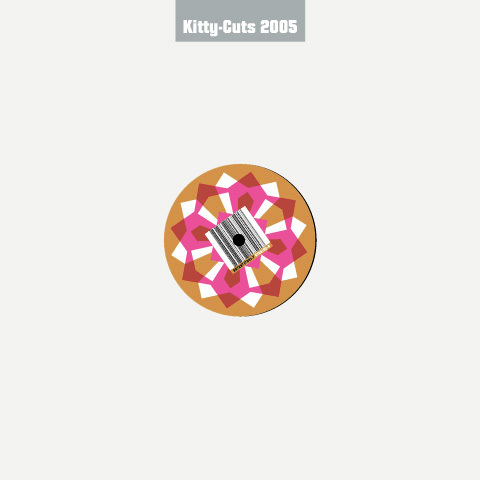 I took the name “Kitty Cuts” at face value and constructed the design entirely from intersections, rotating and enlarging the square in the middle a couple of times along its diagonal so that it forms a star shape. Intersection is “Schnittmenge” in German; “Schnitt” means cut. Also meant to resemble the effect of a caleidoscope and/or the cut of a jewel. 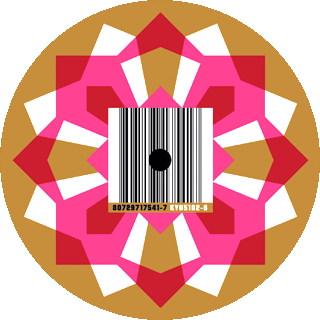 Labels are printed in two spot colours each (plus black for the barcode), sleeves are standard grey cardboard sleeves with a sticker. Published on Kitty-Yo Int. 2005 | KY05102.